What a blessed time for fellowship, food, and fun as we celebrated 50 years of Chalcedon’s ministry yesterday in Northern California. The day included inspiring talks along with videos of young people giving their rendition of essays from “A Word in Season” by R.J. Rushdoony. I held a Family Feud Bible Quiz game for families. The kids got more right answers than their parents! See how you do. What was the name of Moses’s sister? What was the name of Joshua’s father? Name one of the four rivers that watered Eden. 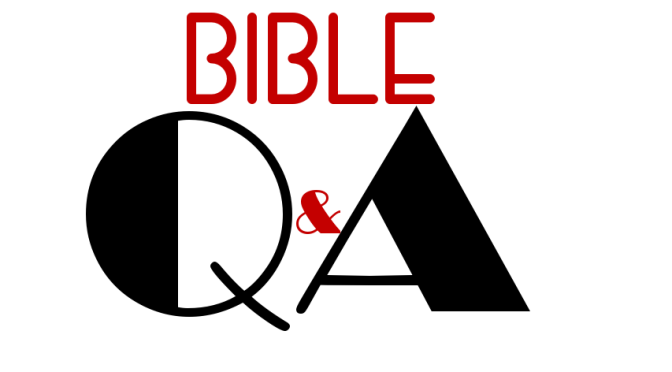 What is the 66th book of the Bible? Which apostle was Peter’s brother? What was the name of Ruth’s first husband? What was St. Paul’s hometown? This person’s nickname could have been Nic at Night. Name one of Joseph’s sons. The talking donkey was ridden by this man. This Bible heroine could have been nicknamed Peg. Name one of the two people who appeared with Christ at the Transfiguration. What was the name of Jethro’s daughter? Name a set of twins in the Bible. Where did the apostle John live out the end of his life? This person was struck dead when he touched the ark of the covenant. Whose first hairdresser wasn’t a good one? Name three married couples in the Bible. Name one of Job’s friends. Answers can be found in your Bible!! !